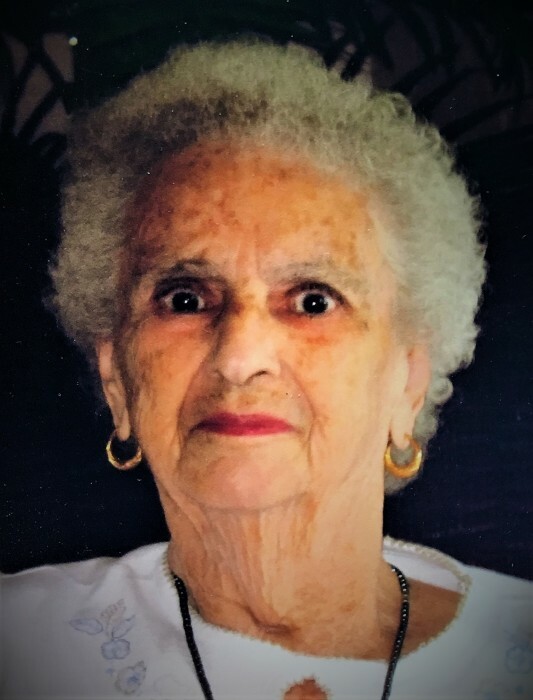 Emma Irene Ousnamer Buckhorn of Cape Coral, Florida was born to the late Samuel J and Leah Cole Ousnamer in Ortonville, MI on April 16th, 1927 and passed away peacefully in Auburn, AL on November 3rd, 2018. She was 91 years old. Irene, as she like to be called was married to Jack Buckhorn for 67 years and spent most of her life in Waterford, Michigan, where she worked for the Oakland County Friend of Court, later moving to Brutus, MI., after retirement, and then to Cape Coral, FL. She is survived by her Husband, Jack, five children; Douglas (Carolyn) Buckhorn, Clarksville, TN., Leonard (Dorothy) Buckhorn, Cape Coral, FL., Joyce Boggs, Cusseta, AL., Stephen Buckhorn, Beaverton, MI., and Phillip Buckhorn, Flint, MI. ; 14 grandchildren; 16 great grandchildren; and 1 great-great grandchild. A memorial service will be held at a later date in Brutus, Michigan. Please visit her Memorial Tribute page at www.johnsonbrownservicefh.com to leave a condolence for her family, share a memory of Irene, or to light a Remembrance Candle in her memory.